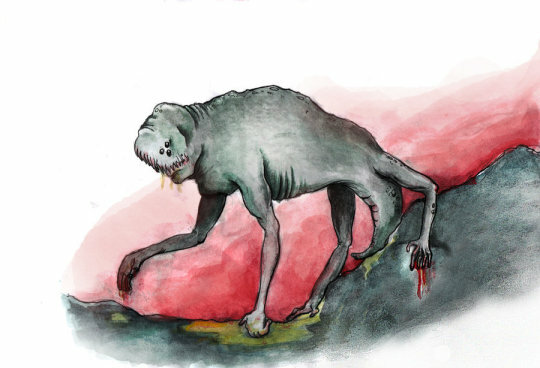 In the Yukon Territory of Canada, members of the Canadian First Nations sometimes spoke of an unknown creature while retelling stories that had been passed down from generation to generation. In the Tutchone language, the creature is known as the Saytoechin, to everyone else, the creature is known as the Beaver-Eater. 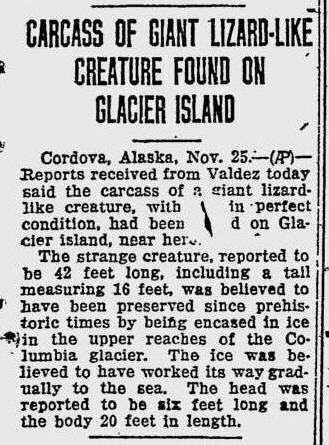 Upon their arrival at Glacier Island, McDonald and Brown were as shocked as anyone to actually lay eyes upon a large mystery carcass of a colossal, fur bearing, reptilian-featured animal, which McDonald described as a being “shaped unlike any other creature known to have existed anywhere in the region”.